If you need to create the application for converting ODT to xHTML, you can use a converting SDK that will make it much simpler. Just port the required code into your ODT to xHTML C# app, make minimal settings, and you will get a tool ready for sale and use. All these convert ODT to xHTML command line parameters are specified in one line and sent to server. The application processes this request and provides xHTML copies saved to defined location. For conversion from ODT to xHTML no GUI is provided, as this is only a standard SDK kit that can be enriched by UI if needed. For this ActiveX technology is used. 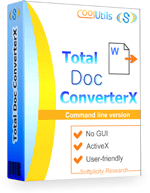 Using it, you can integrate Total Doc ConverterX to a web application or some graphic interface. That is why building interface for ODT to xHTML ASP converter is not a problem. If you would like to arrange automatic conversion of ODT files from certain location, you should use Total Folder Monitor. With its help the application can be run automatically on regular basis. The program will convert ODT to xHTML on server automatically, exporting ODT files sent to a specific folder. Using provided samples you will easily get familiar with how to use Total Doc ConverterX for your own development projects. You can use it also for developing ODT to xHTML PHP converter as well. 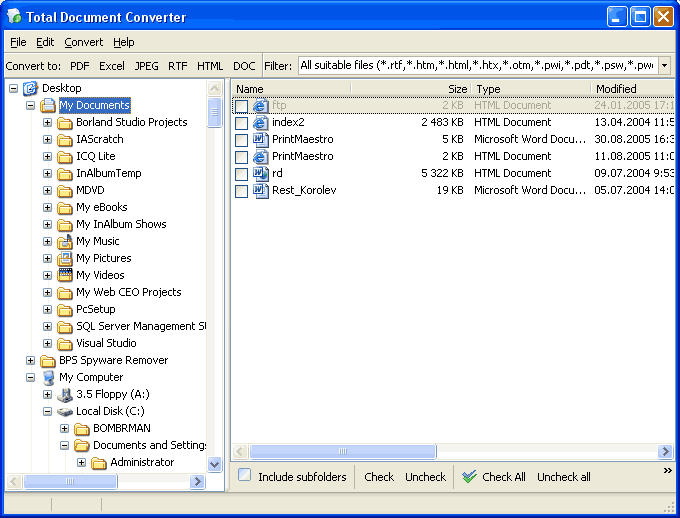 Download converter SDK here.